Not long ago at E3 2012 OnLive teased us with a coming soon release for Sid Meier's Civilization V: Gods & Kings. In a somewhat surprising move, not only did OnLive now release Sid Meier's Civilization V: Gods & Kings in a bundle with the original Sid Meier's Civilization V, but they've also added the original Sid Meier's Civilization V game to the OnLive PlayPack. The OnLive PlayPack is now at 234 games and counting. OnLive UK gamers will have to wait until Friday, 22 June 2012 at 12:01 am BST to play both Sid Meier's Civilization V and Sid Meier's Civilization V: Gods & Kings. Sadly Sid Meier's Civilization V comes to OnLive without multiplayer and it doesn't look like OnLive plans to enable multiplayer at a later date, as they haven't announced anything regarding multiplayer. On the bright side, OnLive has stated that they are working with the game publisher 2K Games to get all the add-ons that the Sid Meier's Civilization V: Game of the Year Edition has. 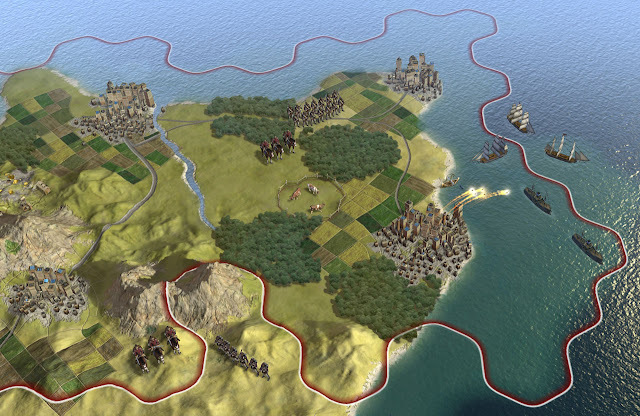 You can play the free demo of Sid Meier's Civilization V for the US powered by OnLive.